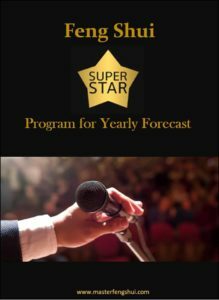 Do you want to present the Yearly Feng Shui Forecast to your audience but don’t know how to begin? Do you want to learn how to plot and analyse Yearly Qi Men Dun Jia chart for personal and global luck prediction? Do you want to learn how the various Positive and Negative Bazi Stars are calculated for different 12 Zodiac Signs every year? Do you wish to be the Feng Shui Superstar standing on stage to speak confidently to a huge crowd? If your answer is YES for all the questions above, please enrol yourself in this special 2-Day program that teach you how to do so. How do you present them to the audience or reader? Examples of some of the famous stars: Heaven Wealth, Heaven Relief, 8-Seat, 5 Ghost, Court Talisman, Backstab, Emperor Star, General Star, Golden Chest, Earth Relief, Sword Edge, Lying Corpse, Hindrance Pole, Robbery Star, Sky Emptiness, Curl Tongue, Academic Hall, 3-Stage and many more.